I hope you are having a wonderful year so far! I know we have enjoyed ourselves so far in 2017. I wanted to talk about exciting Disney things coming up for us in the next several months. We are nearly all ready for our Walt Disney Trip in April! Dining reservations have been booked for a long time, fast passes are reserved, and our Touring Plans are all set up. This is looking to be a really fun trip. It will be a new experience for us as we are going with Laura’s family. We have never gone with anyone else to WDW before and having a 5 year old along for the trip will add another fun layer to things. We are excited to go back and have new experiences with loved ones. We always have fun but being able to take family on their first trip will be a new type of fun for us. We are very excited to attend the D23 Expo for the first time, and are excited for this trip! We are very much looking forward to going back to Disneyland. There is a special feeling you get when you are there, one that stems from the history. It makes it special knowing that Walt himself walked the park at one time. I went for my first visit (Laura’s 3rd) to Disneyland January 2016 and we had a blast. It will be fun to go back and experience the parks again, even the new Guardians of the Galaxy overlay for Tower of Terror. Obviously, we are most excited for the D23 expo as this is our first time. We look forward to seeing all the sites, hearing announcements and new things, and most of all being with other huge Disney fans. We hope to even interact with any of you that might be there! Our most exciting news for 2017 is that we are planning an Asian Disney parks trip! We have laid plans for visiting Shanghai, Hong Kong, Tokyo, and Hawaii. This is definitely the largest trip we have ever planned…well Laura is mostly planning it. She is really good at this type of stuff and I don’t know what I would do without her to be honest. During our trip we are planning on hitting the Disney parks in each place and then seeing other sites that these amazing cultures have to offer. I think we are most excited to see Tokyo Disneyland and Tokyo Disney Sea as we have seen and heard so many great things about them. Lastly and definitely not least the last leg of our trip takes us back to the U.S. in the form of Hawaii. Here we are staying at Disney’s Aulani resort. Neither Laura nor I have been to Hawaii before and we thought why not as we pass by coming home! It will be nice to relax and bit and do some hiking to wind down from our busy trip. 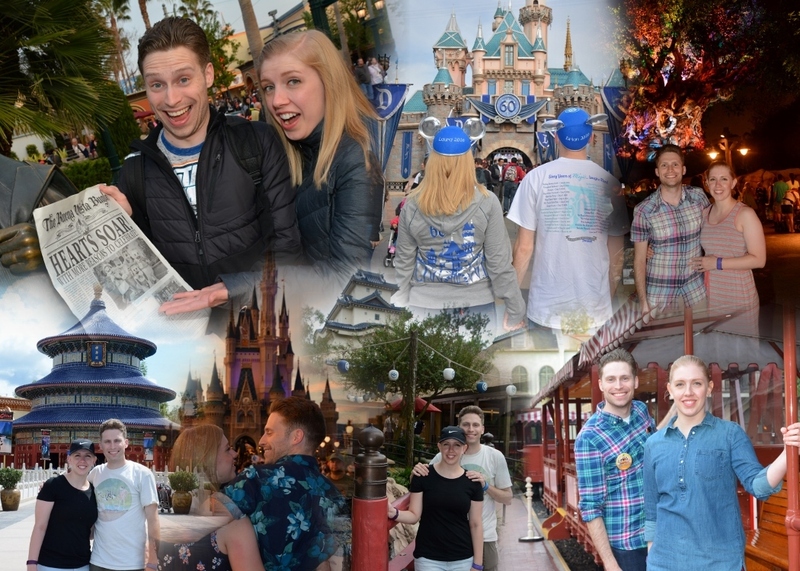 For those of you following along at home that is 10 Disney parks in about 5 months! That is Magic Kingdom, Animal Kingdom, EPCOT, and Hollywood Studios at Walt Disney World; Disneyland and Disney California Adventure in California, Hong Kong Disneyland, Shanghai Disneyland, Tokyo Disneyland, and Tokyo Disney Sea, plus Aulani in Hawaii! 10 PARKS ONE YEAR! Very exciting for the trips to come. A lot of adventures and fun to be had and I hope you will continue to follow along to experience them with us!